The Isaeli Para-Dance Team in Germany, May 2018. 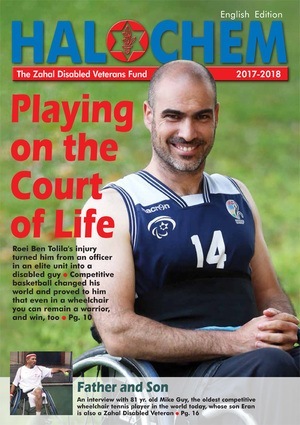 Friends of Israel Disabled Veterans-Beit Halochem extends a hearty congratulation to the outstanding wheelchair dancers of Beit Halochem- Zahal Disabled Veterans Organization. 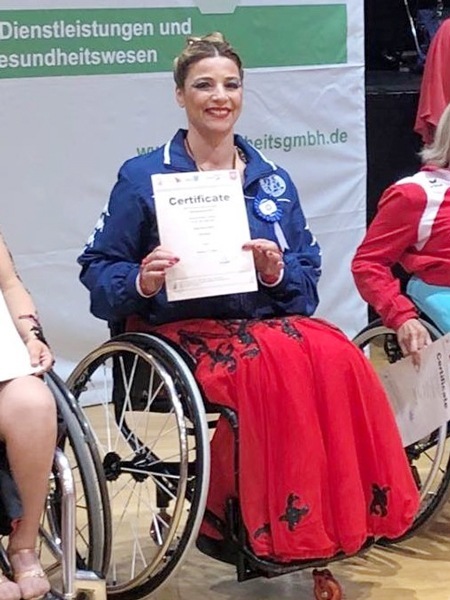 They won four medals at the 2018 Para Dance Sport Mainhatten Cup competitions held in Frankfurt, Germany (May 19-20, 2018). 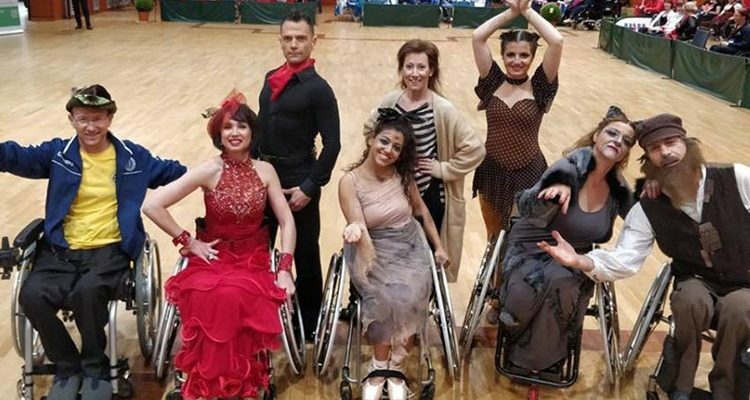 The Israeli team came with five wheelchair dancers and two standing partners: Adam Greenfeld, Anna Wishbein, Tomer Margalit, Maytal Wax, Nachum Humi Prital, and their amazing choreographer and instructor Yelena Feitliher. Their courage, determination and art of the dance are inspiring to everyone. Participants came from 15 countries, including China, Holland, Ukraine, Japan, Austria, Finland, among others. The Para Dance Sport Mainhatten Cup in Frankfurt, Germany is just one in a series of 2018 para dance competitions in the Netherlands, Poland, and Taipei.